DJK Excavations is your one-stop for excavator hire from Spring Farm to the Greater Sydney Reigon. Garden work, bulk earthworks and earthmoving is a breeze when it comes to our fleet of 5-tonne mini excavators. These high-quality machines are Caterpillar 305 E 2 models and are regularly serviced and well maintained to ensure optimum performance. With our owner and operator Dave behind the wheel of our mini excavator, you can rest assured that your job will be completed quickly, to a high level of quality and on budget. Mounted on skid steer tracks the CAT 305 is designed and built to distribute weight evenly across its track making sure that no damage is done to the ground underneath it, making it perfect for jobs in delicate areas where you heavy machinery wouldn’t be able to go. Operating in areas across New South Wales including Sydney, Campbelltown and Liverpool, we can get the job done. 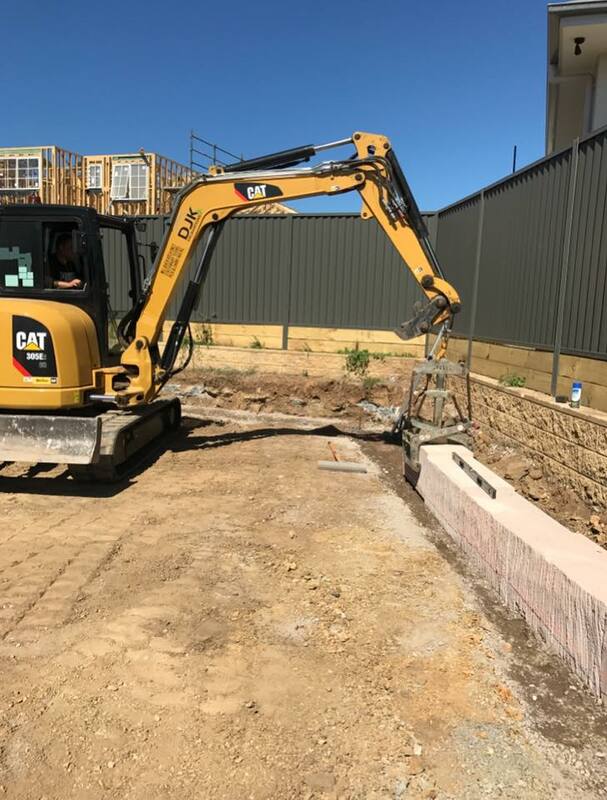 If you are looking for Sydney based excavator hire contact the team at DJK Excavations, our over 15 years’ worth of experience in the landscaping and construction industry ensure that you get quality workmanship every time.